Barkworthies Odor-Free Standard 6" Bully Sticks Dog Treats are all-natural 100% digestible double cut beef pizzle for smaller dogs. 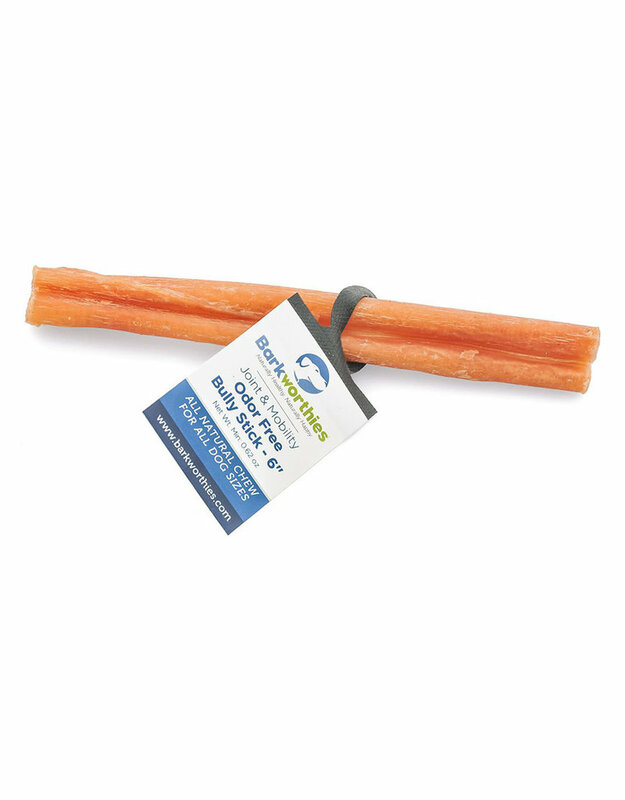 They’re long-lasting chews that promote good dental health and prevent bad breath. It’s best to supervise your pup while he’s chomping on these. These single-ingredient bully sticks are the perfect alternative to traditional rawhide. Plus, they’re virtually odor free.